The University of La Verne has named Dr. Kristan Venegas as the LaFetra College of Education Endowed Chair for Teaching, Education, and Excellence. Venegas is the first recipient of the endowed chair, which was established through a generous donation from Anthony LaFetra, CEO of Rain Bird and university trustee. The endowed position will support Venegas as she continues to research financial aid availability in California for underrepresented, low-income, and first-generation students. She will also serve as the associate dean for education transformation and faculty affairs at LaFetra College of Education and teach courses in the Social Justice Higher Education Administration master’s degree program beginning fall 2019. Venegas, a first-generation college graduate, aims to inspire students who have followed a similar path to higher education. She is committed to supporting faculty colleagues as they, too, motivate students to reach their full potential. Venegas previously served as a professor of clinical education and a research associate in the Pullias Center for Higher Education in the Rossier School of Education at the University of Southern California (USC). She has served in faculty leadership roles at the University of Nevada, Reno, and USC and most recently was an assistant dean for strategic initiatives and evaluation. 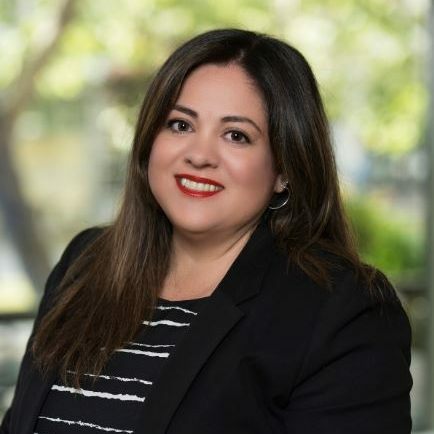 She is a former American Council on Education Fellow and was part of the 2018 class of Hispanas Organized for Political Equality Leadership Institute. She has been recognized by the University of Southern California as a Remarkable Woman of the Year and an Emerging Leader by the National Academic Advising Association. Venegas holds a bachelor’s degree in English, a master’s degree in education and a doctorate in education policy analysis from USC. She and her husband live with their two children in the City of El Monte, on the same block where she grew up.